Mashed potatoes were hands down always my favorite holiday side dish. I loved having a creamy, starchy, butter-y to pair with turkey! That is, until I was introduced to sweet potato casserole with marshmallows just from perusing recipes online. I asked my mom to make it one year, and I was hooked! It was everything good about mashed potatoes plus gooey marshmallows. It’s basically dessert that you can pass off as a side dish. And what better time to indulge than the holidays? 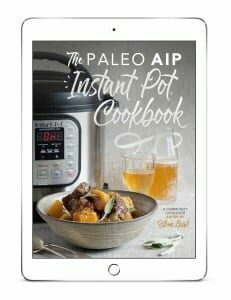 When I went Paleo and AIP, I suddenly realized that conventional marshmallows were not the best thing to be drowning my sweet potatoes in. They were full of refined sugar, conventional gelatin, and corn syrup. No thanks! I had some trouble finding marshmallows that weren’t filled with junk, and didn’t always love the extra work of making my own. So when Sweet Apricity sent me their new AIP marshmallows, I knew exactly what I’d be making! 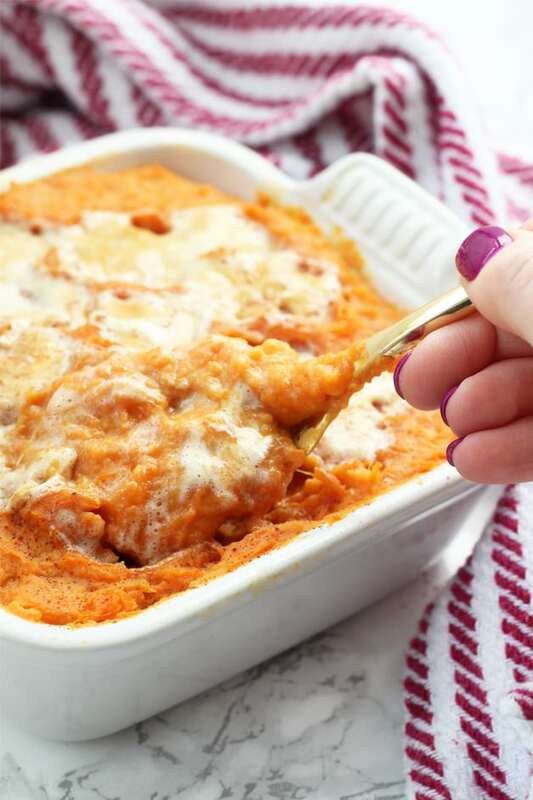 This Paleo and AIP Sweet Potato Casserole with marshmallows is everything I needed it to be, and more. It’s creamy, sweet, decadent, and incredibly easy to prepare! I recommend buying fresh sweet potato rather than canned to control the sugar and ingredients. I was over the moon when I found out that Sweet Apricity also sells AIP marshmallows! You can also make your own marshmallows with a recipe like this, but I really love having a short cut… especially at the holidays! It’s not often that we get short cuts and pre-packaged foods with killer ingredients when we’re paleo & AIP, so I’m taking full advantage of this one. Coconut milk helps make it creamier! You can use other milks as desired and tolerated, but I think this produces the best flavor. Personally, I love the flavor of ghee in this casserole. However, you can also use coconut oil or butter. Cinnamon adds more flavor and honey adds a bit more sweetness. You can adjust to your liking. 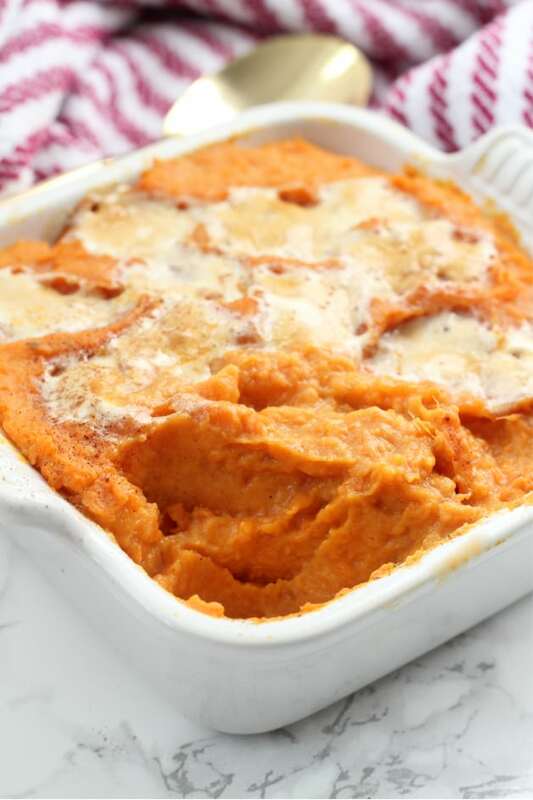 While the oven is preheating, add the chopped sweet potato to a large pot filled with water and bring the a simmer for 5-10 minutes, or until sweet potatoes are soft. Strain the water and mash the sweet potatoes. Add coconut milk, coconut oil, honey to the pot and stir to combine. Yes, this is real life. AIP sweet potato casserole with marshmallows. Pinch me. Yes, it is indeed an indulgence and not a kale smoothie, don’t get me wrong. But there is absolutely nothing wrong with enjoying yourself in your own limits during the holidays! One of my favorite tips for enjoying social events while you have food restrictions/allergies is bringing a dish compliant with your own diet, and one that everyone else will love. Like my cranberry turkey poppers, thanksgiving coleslaw, aaaand this baby! Perfection that everyone can appreciate. So excited to try this recipe! 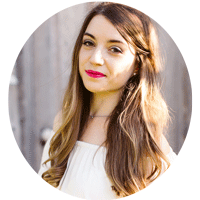 I’ve been following you for quite some time and 80%+ of my AIP meals come from your blog. 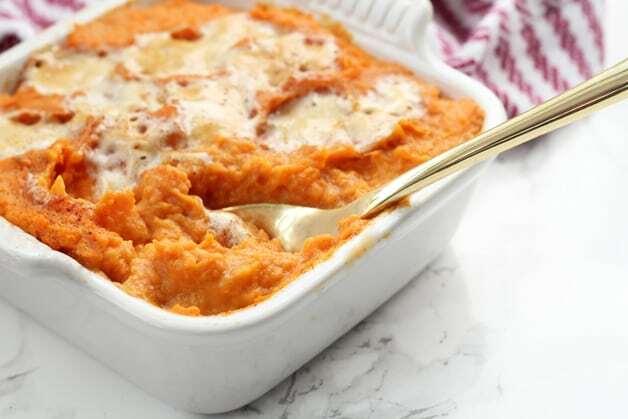 Quick question on this one, are we supposed to mix the mashed sweet potatoes in with the liquids or just pour those over top? Thanks! Thank you so much, Lauren!! Yes, you want to mix the mashed sweet potatoes with the liquid 🙂 Enjoy! !